Hardened and tempered steel, hexagonal shanks, shot peen finished shank, polished tips. Meets British Standards specification. 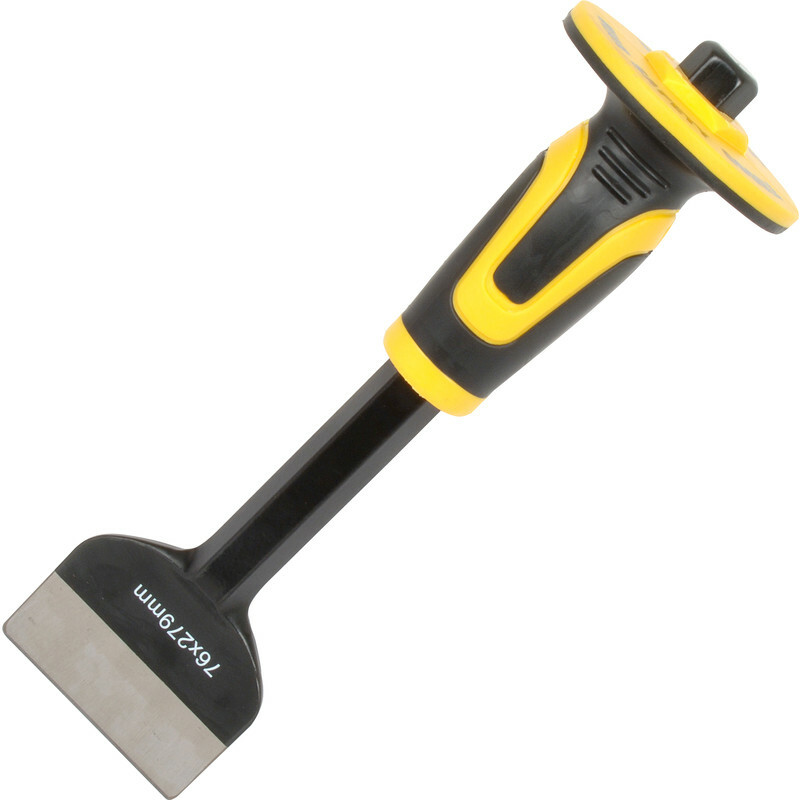 Roughneck Professional Electricians Chisel 76 x 279mm is rated 4.7 out of 5 by 6. Rated 3 out of 5 by Framgram from Could be better Bought this to replace my old one which appears to have been beamed up by Scotty. It's ok, but the blade is a bit too thick and didn't have the cutting edge required for easy feather splitting. It's more of a brick cutting bolster. However, half an hour with my angle grinder and finished with a fine file, it's almost as good as my old one. Rated 5 out of 5 by Sanatogen from Excellent Did a job away from home and forgot my bolster chisel so bought this to do the job, good so far. Rated 5 out of 5 by Danbob1 from Top quality chisel Good quality chisel hand guard is a bonus does the job well.